EXTRA Queensland fire crews have been placed on standby as forecasts of strong winds and bone-dry conditions escalate the risk of bushfires. About 20 fires are burning across the state this morning, with residents at Kingaroy and Daylsford in the southeast advised to remain on alert for any change in conditions. Fire bans are in place in the Ipswich, Somerset, Lockyer, Logan, Scenic Rim and Gold Coast areas, with gusty westerly winds tomorrow expected to fan any blazes. 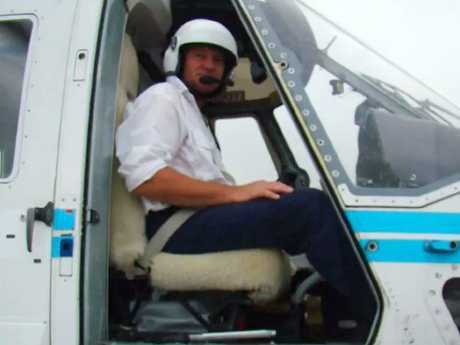 Meanwhile, the NSW aviation and firefighting community are mourning the loss of a helicopter pilot killed while battling a blaze on the state's south coast. Pilot Allan Tull died yesterday when his aircraft water-bombing bucket became snagged in tree branches in NSW. Sydney Helicopters pilot Allan Tull died when his aircraft crashed west of Ulladulla yesterday afternoon while waterbombing a fire near Mount Kingiman, which has burned through 1700ha. The experienced pilot was described as "an amazing guy" by a colleague at Sydney Helicopters, where he worked. "It's a massive shock ... we are absolutely devastated with the loss," the employee said. 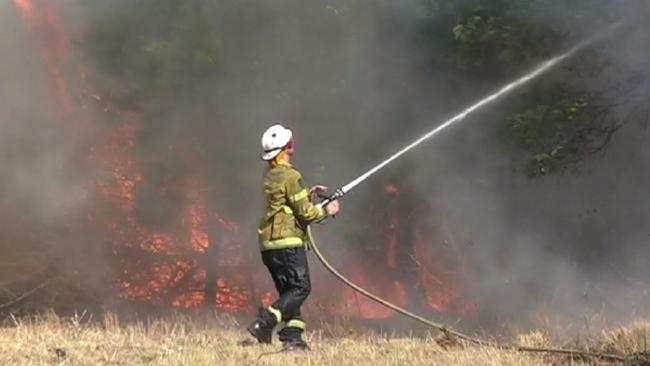 As colleagues came to terms with their loss, firefighters were battling dozens of fires across NSW on Friday evening. 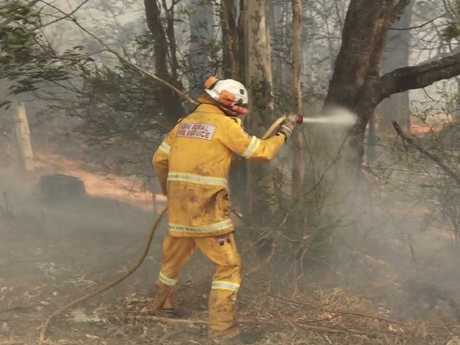 The RFS confirmed the Bemboka fire on the south coast burned down three homes and four outbuildings in the Bega Valley, while 11 outbuildings were lost in the Mount Kingiman blaze. One home was confirmed damaged in the North Nowra blaze, which also destroyed an outbuilding. Those five major fires were still out of control on Friday evening.